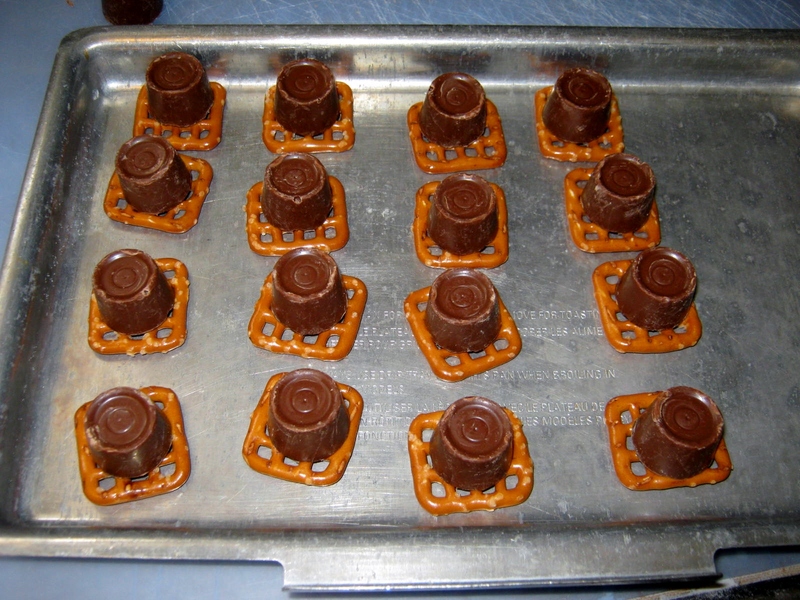 This remains one of my favorite recipes for a treat. 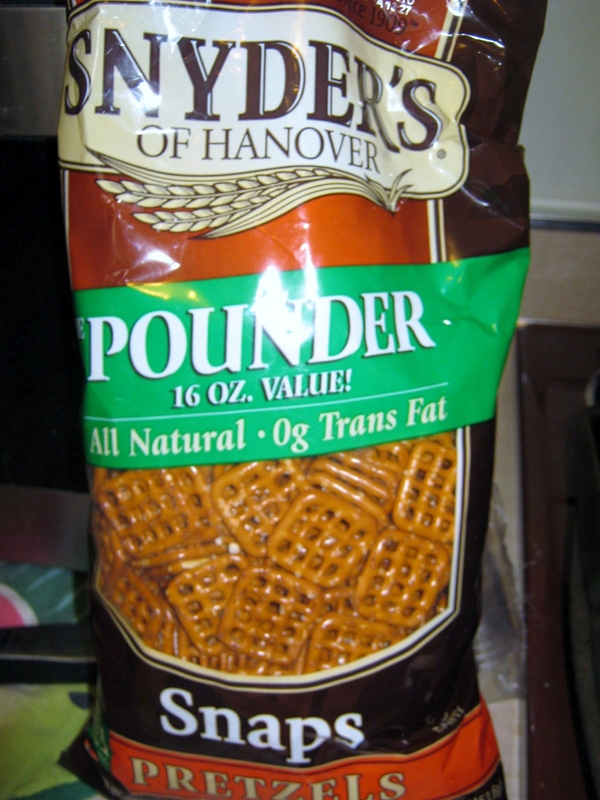 Everyone loves the delicious bits of pretzel, chocolate and pecan. Try them…they are super-easy! 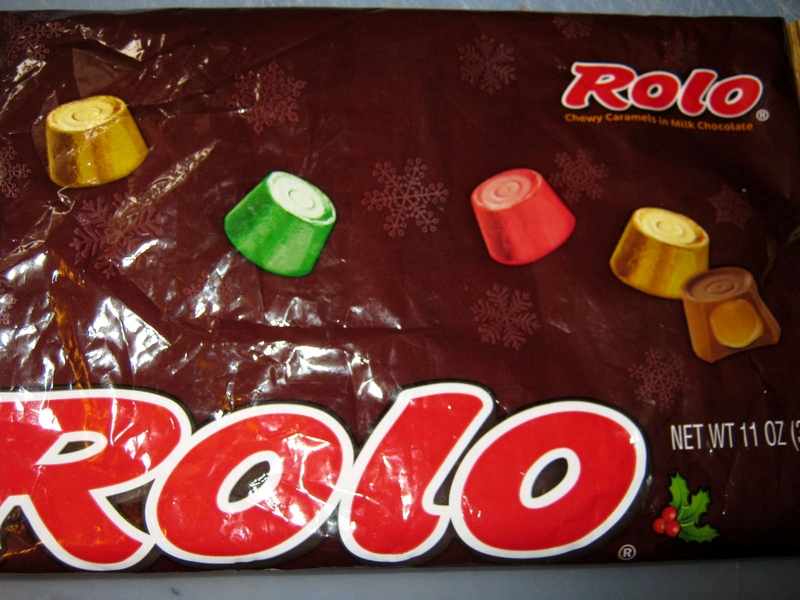 Rollo candies, a bag or a roll. A bonus with the roll type is you do not have to unwrap each piece of candy. 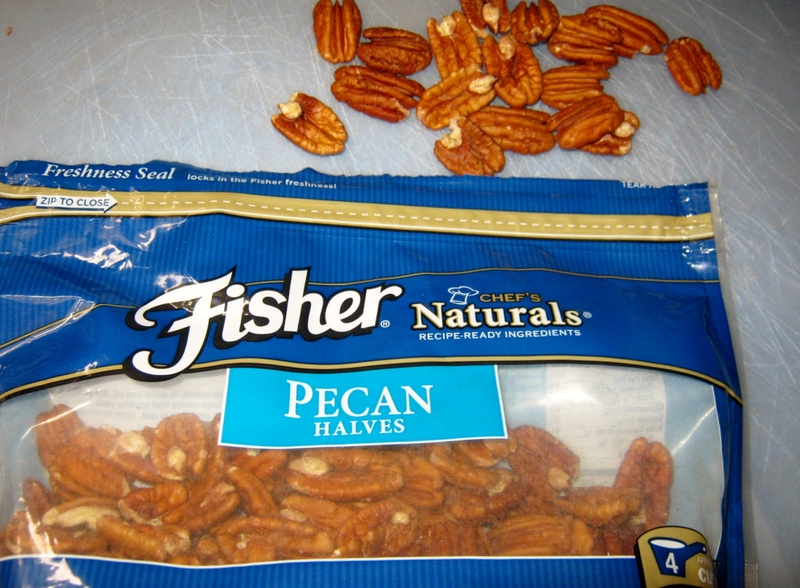 The third ingredient is pecan halves. I used my toaster oven set on a very low temperature, around 275. 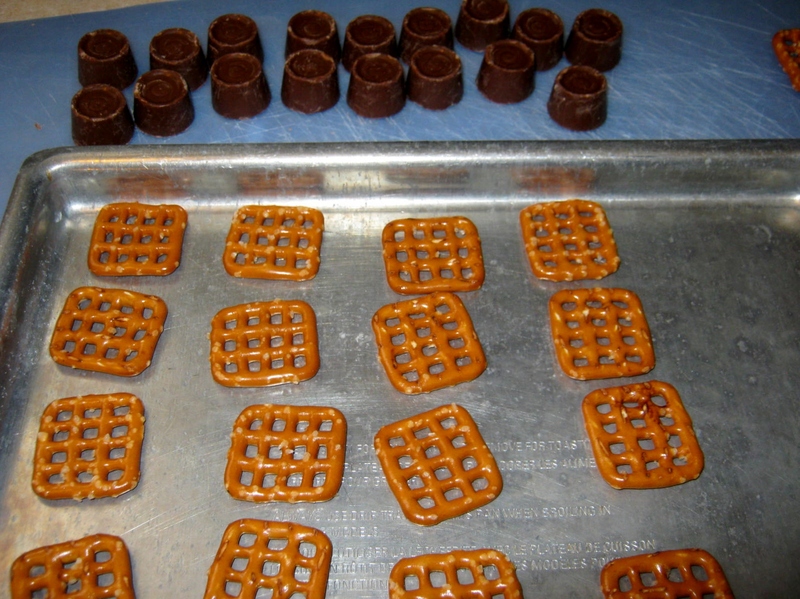 I arranged the pretzels on the pan. Then I put the pan in the toaster oven and watched until the bottom of the Rollo began to spread out and melt. It only took a few minutes. 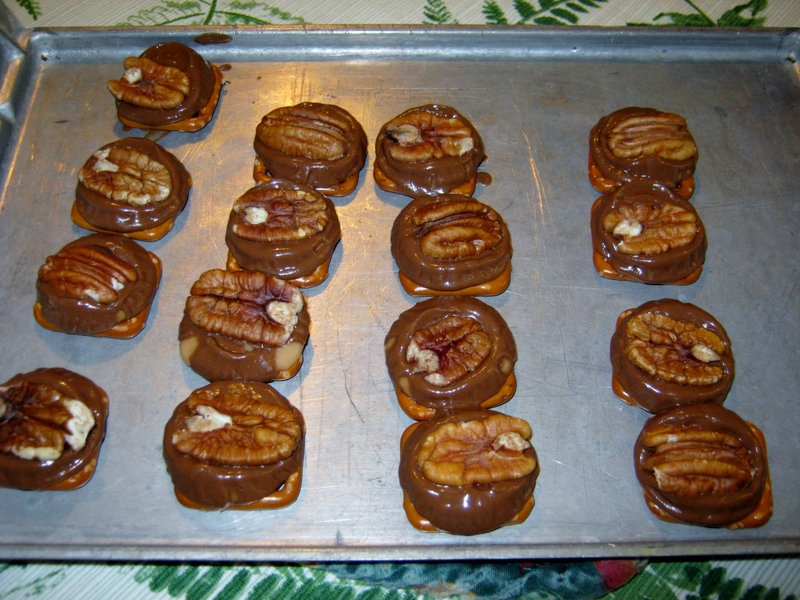 To finish them off I laid one pecan half on the top, smooshed it down gently, and there I had it…in just a few minutes…the perfect bite. Yum! 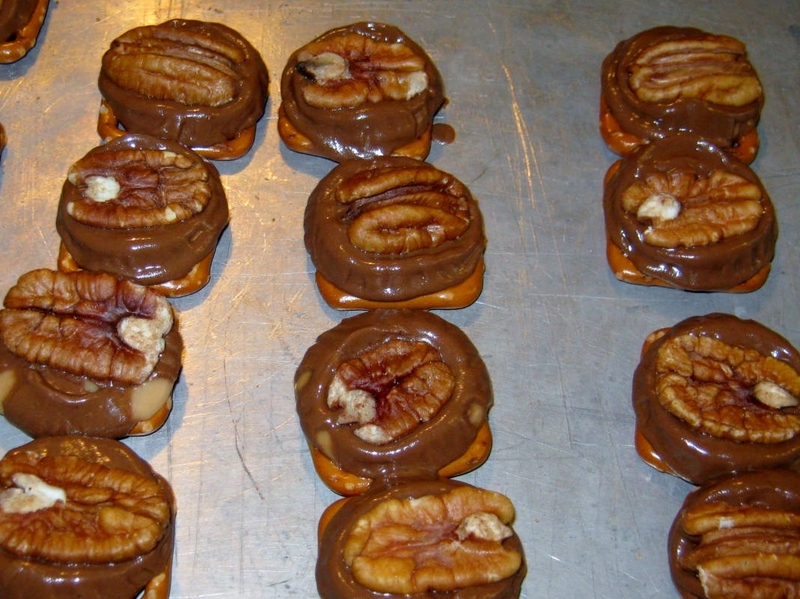 They are a bit pricey to make since pecans are so expensive right now, but definitely worth it.